Anything with polka-dots automatically engenders a lighthearted, fun vibe. Add that vibe to a kitchen or an enclosed porch by making a set of mugs with different-colored "polkas" dotting the surface and placing them as decorations in the area. This project is very easy and customizable. 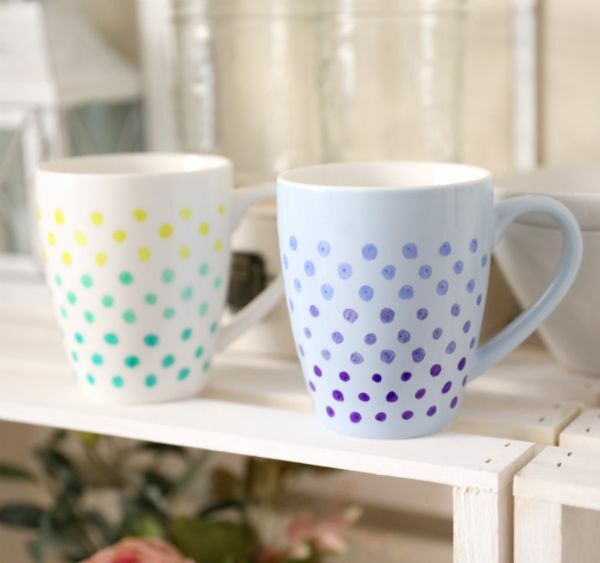 Choose any two or three marker colors, but stick to a lighter-colored mug so the polka dots stand out. The tutorial demonstrates the use of three colors. 1. Choose a Sharpie color (S1). 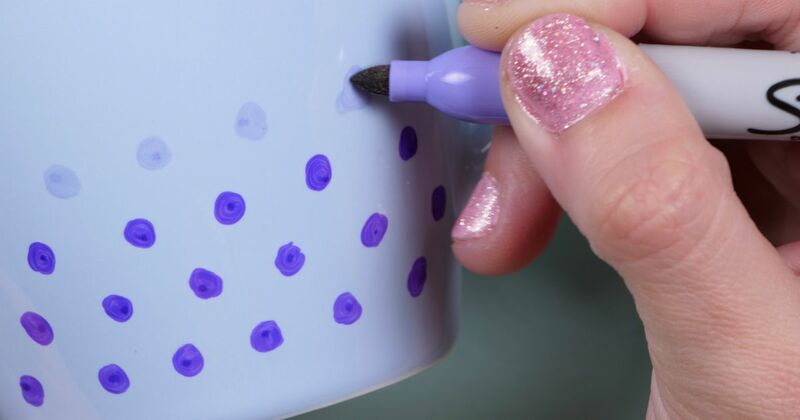 Draw dots equal distances from one another around the bottom of the mug, 1/2 inch above the base. 2. Draw a second set of equidistant dots around the mug, placed between and 1/4 inch above the first set. Repeat for a third set of dots. 3. Choose a second Sharpie color (S2). Draw equidistant dots around the mug, placed between and 1/4 inch above the third S1 set. 4. Draw a second set of equidistant S2 dots around the mug, placed between and 1/4 inch above the first S2 set. Repeat for a third set of S2 dots. 5. Choose a third Sharpie color (S3). Draw equidistant dots around the mug, placed between and 1/4 inch above the third S2 set. 6. Draw a second set of equidistant S3 dots around the mug, placed between and 1/4 inch above the first S3 set. Repeat for a third set of S3 dots.